Dr. Littzi is very pushy on telling you what she believes you "need" and they all seem to be her costlyprocedures. She did not ask me what I was looking for, but rather what I should get. I went in because I wanted a peel (I am 34 years old, look 22 and had two tiny pimples I was worried about) and she not once asked me if I even cared to learn about procedures beyond OTC/prescription drugs. She just wrote them out and told me it's what I really needed. The worst parts were having to wait nearly 45 minutes to be seen, and their aggressively pushing me to use their "specialty pharmacy" instead of my local pharmacy to fill my prescriptions. Dr. Littzi is very pushy on telling you what she believes you "need" and they all seem to be her costly procedures. She did not ask me what I was lookingfor, but rather what I should get. I went in because I wanted a peel (I am 34 years old, look 22 and had two tiny pimples I was worried about) and she not once asked me if I even cared to learn about procedures beyond OTC/prescription drugs. She just wrote them out and told me it's what I really needed. The worst parts were having to wait nearly 45 minutes to be seen, and their aggressively pushing me to use their "specialty pharmacy" instead of my local pharmacy to fill my prescriptions. It was my first visit. I felt rushed and unimportant. The doctor took one look, wrote a prescription for cream andsent me on my way. It was my first visit. I felt rushed and unimportant. The doctor took one look, wrote a prescription for cream and sent me on my way. Dr. Sharon Littzi is a board certified dermatologist who has been in practice since 1988. Dr. Littzi is a Harvard trained Dermatologist who is on the cutting edge of European and American technology and treatments. She attended Bryn Mawr College and Case Western Reserve University School Of Medicine. She was elected to the Alpha Omega Alpha Medical Society for Honors in her medical school performance. Dr. Littzi did a residency at Yale New Haven Hospital in Internal Medicine and a dermatology residency at Harvard’s Massachusetts General Hospital. After completing her residency at Harvard, Dr Littzi was invited to be on the Harvard staff in the dermatology department. While at Harvard, Dr. Littzi was the founder of the Women’s Dermatology Unit, which was the first cosmetically oriented skin services center for women in Boston. 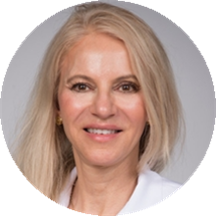 She has used her Harvard education and expertise to develop the finest dermatology center in Fairfield County. Aesthetic Dermatology of Fairfield County is proud to announce that we are expanding to accommodate our patients for the very latest in technology and skin care. She addressed a suspicious mole right away and I appreciated her honesty and sense of urgency. The office is very clean and the workers are very professional. I felt a little rushed during the appointment but I believe I was given the right guidance which is all that matters to me! Will definitely use Dr. Littzi for future purposes. Excellent calm demeanor. She got right down to business and rendered compassionate treatment. Dr. Littzi definitely knows what she’s talking about. She took all my medical history into consideration when giving me persciptions and had SO many simple yet helpful tips! Was my first time seeing her but will definitely be seeing her regularly! I chose to visit Dr. Littzi based on impeccable credentials: Bryn Mawr, Case Western, Yale, Harvard (Harvard Med school selects only the best of the best to attend their dermatology residency)....board certified etc. I found a very skilledand very pleasant physician who was able to explain her diagnosis and recommendations in layperson terms so that I could understand my options. Her execution of the recommended procedure showed that she is dexterous and proficient as well as smart. The front office is very helpful, discreet and friendly. Overall I rate Dr. Littzi's office as the best dermatology practice in Fairfield County bar none. . I would not recommend Dr Littzi for any cosmetic treatment. I have cosmetic procedures down for almost 10 years and have seen several different doctors in several major cities and never had the experience I had with Dr. Littzi. I hadto go back again and again AND again for touch ups which still ended in poor results. I would recommend anyone interested in cosmetic procedures or injectables to a board certified plastic surgeon. She was one of the first MDs who really took the time to sit and talk with me. Fabulous service and care - Would highly recommend. Dr. Littzi's office is wonderful!. I made an appointment to see Dr. Littzi for the acne I have suffered with for years! My appointment was about 3 weeks ago and I have to say my skin is already 100 % better!Dr. Littzi has changed my life in so many ways! I still see improvements to my skin and I know its going to keep getting better! She offered me a few products which I am so pleased with the cleanser and SPF are awesome! As for my acne she had me try a sample of a cream and she was right on! It worked almost immediately! As you can tell I am very happy with my visit and would HIGHLY recommend her to anyone! I hope this review helps any one else suffering with any problems. I am confident that Dr. Littzi will be able to help! Just left the office. Firstly, Dr. Littzi is very professional and willing to help educate and treat you.Dr. Littzi is a highly skilled specialist with great bedside manner. I would HIGHLY recommend her and her office is incredibly nice andclean and welcoming. The front office staff is helpful, patient, and friendly. Dr. Littzi, did seem knowledgeable of the products. However, I felt that the consultation appointment was rushed. I didn't feel like the Dr. was trying to customize a plan for me, but to get me out of the office to seethe next client. I do not think I will be coming back again unfortunately. well educated, open minded - very intelligent doctor. She could care less. Asked questions without caring for the answer and didn't look closely at rash at all!! I went in for a skin allergy and while Dr. Littzi was very quick to identify the issue and get me a prescription she didn't offer any advice on products to use and/or advoid or any preventative measures to take. WhenI asked if she recommended any products I didn't get an answer. Dr. Littzi is very personable and knowledgable. The office runs smoothly. I would recommend her. she is a very nice and cares about what you have to tell her!